The Bermuda Triangle, also known as the Devil's Triangle, is a loosely defined region in the western part of the North Atlantic Ocean, where a number of aircraft and ships are said to have disappeared under mysterious circumstances. According to the US Navy, the triangle does not exist, and the name is not recognized by the US Board on Geographic Names. Popular culture has attributed various disappearances to the paranormal or activity by extraterrestrial beings. Documented evidence indicates that a significant percentage of the incidents were spurious, inaccurately reported, or embellished by later authors. Fact No. 1- The Bermuda Triangle is not small. In fact, it is quite large and covers an area of 440,000 miles of sea. This is larger than the combined area of Rajasthan, Madhya Pradesh & Maharashtra. Fact No. 2- The triangle is certainly not fixed and its effect can be experienced outside of the triangle too. Fact No. 3- The disappearances are ascribed to UFO's and alien activity, city of Atlantis lost under the triangle, and various other technical, natural and geographical reasons. Fact No. 4- Whenever any plane or ship disappears in the Triangle, its debris cannot be found. The reason behind this is that Gulf Stream runs near the triangle, which quickly gets rid of the debris. Fact No. 5- At least 1000 lives have been lost within the last 100 years. On average, 4 aircraft and 20 yachts go missing every year. Fact No. 6- Inside the Bermuda Triangle, US Government has AUTEC (for Atlantic Undersea Test and Evaluation Center), which is located on the Andros Island of Bahamas. Here US Navy tests their submarines, sonar and other weapons. However many are of the view that it is more than just the testing center. Fact No. 8- One of the biggest and famous losses of US Military occurred in 1945. Five US Navy Avenger torpedo bombers flew from Fort Lauderdale, Florida for a sortie to the island of Bimini. The mission had 14 men. After about 90 minutes, the radio operators received a signal that the compass was not working. After that the communication was lost. The bombers were never found. The three planes that went for their rescue also disappeared. Fact No. 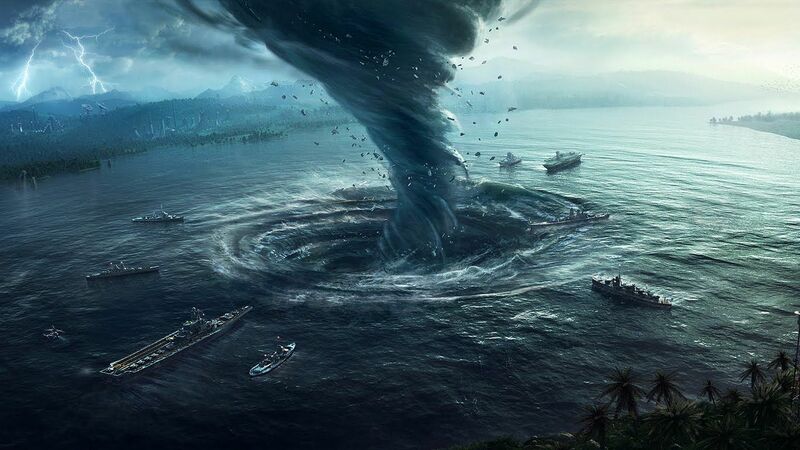 9- The first person to report about Bermuda Triangle was Christopher Columbus. He wrote in his journals that inside the triangle, the ship's compass stopped working and he also saw a fireball in the sky.